This morning Catherine and I tried something different with our spider observations: instead of going out at night, we would get to the beach before dawn, to catch the tail end of spider activity. Turns out, as soon as any light is in the sky, the widows are out of sight, presumably to avoid dawn-foraging birds. So that meant I had a bit of time for some photography! 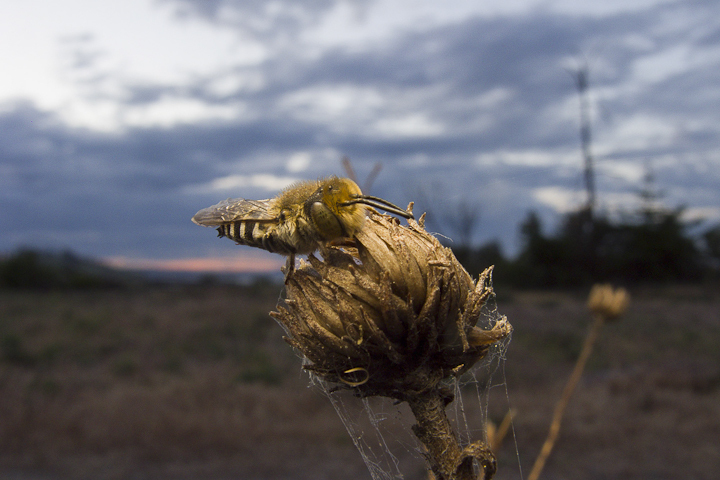 I really wanted to try out the small Canon A720IS I had used on the alligator lizards in the context of capturing wide angle closeups of sleeping bees at dawn. 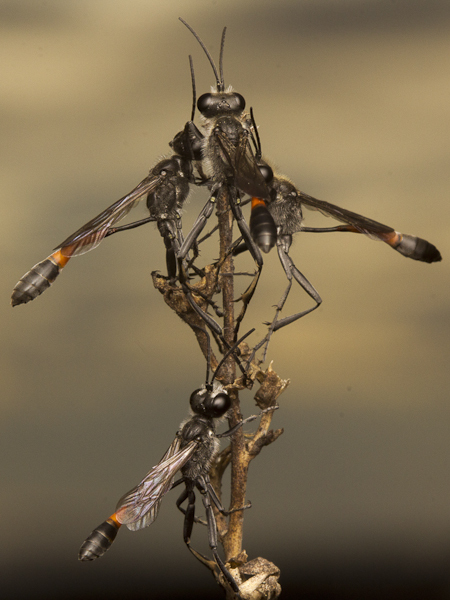 I did manage some shots of Ammophila wasps and Coelioxys bees, but I am not entirely sure I am pleased with them. 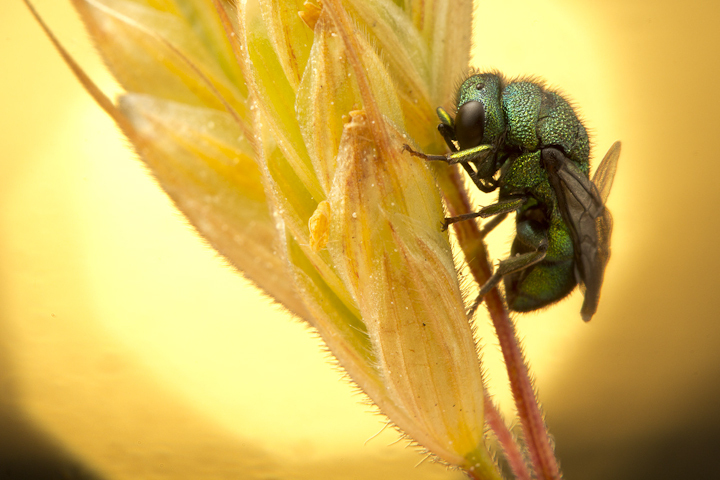 Perhaps the strength of the camera lies in wide angle macro in better lighting conditions. Anyway, it made for some neat images, which I share below. 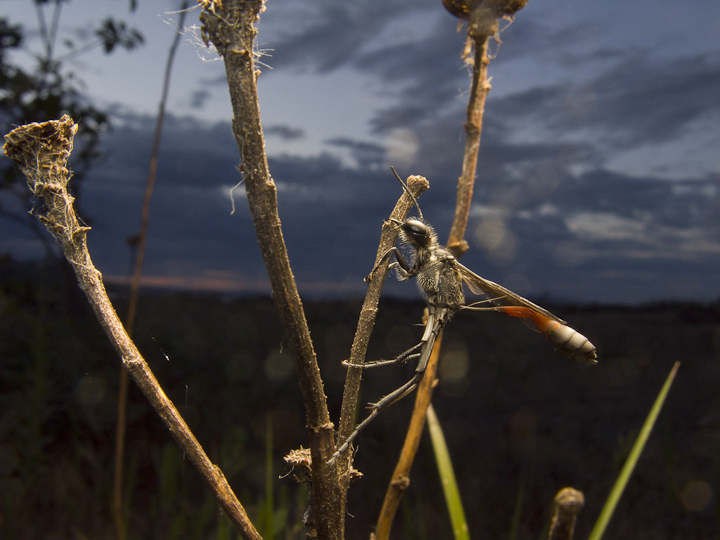 Ammophila, all lit up by a surprisingly well-behaved slave flash, the beach habitat stretched out behind. 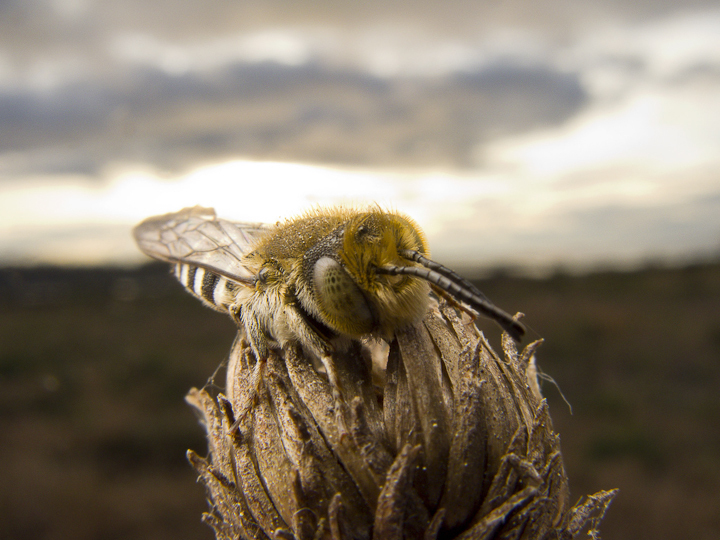 An in-your-face view of Coelioxys, with a bit of colour in the sky. Coelioxys with a bit more of the trees toward the beach showing. 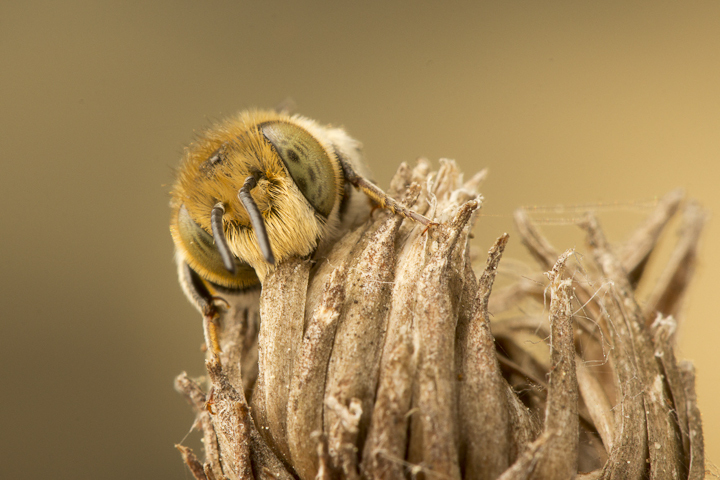 Now we move onto dawn shots of the same subjects shot with the DSLR and 100 mm macro. 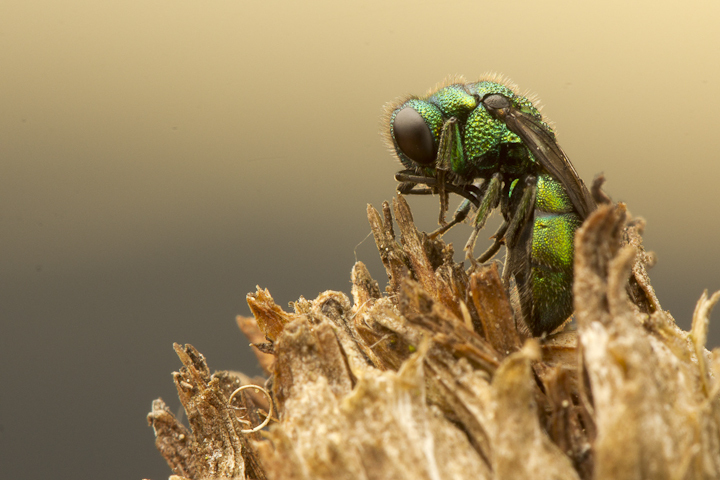 We also found some cuckoo wasps! 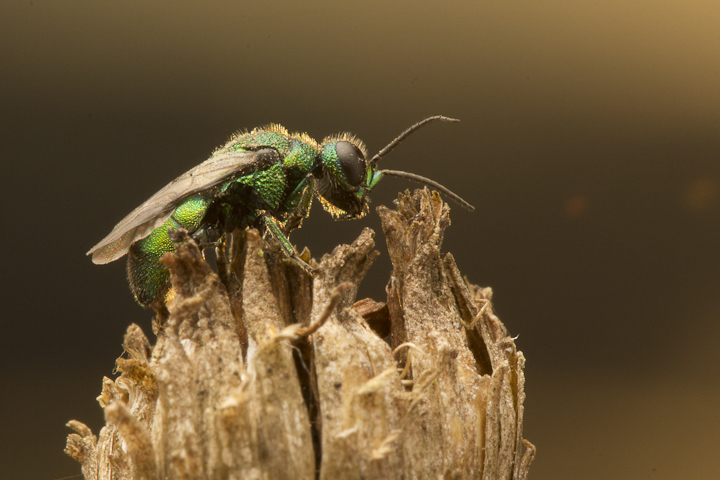 Sleeping cuckoo wasp! I wish I had brought my diopter for better magnification! 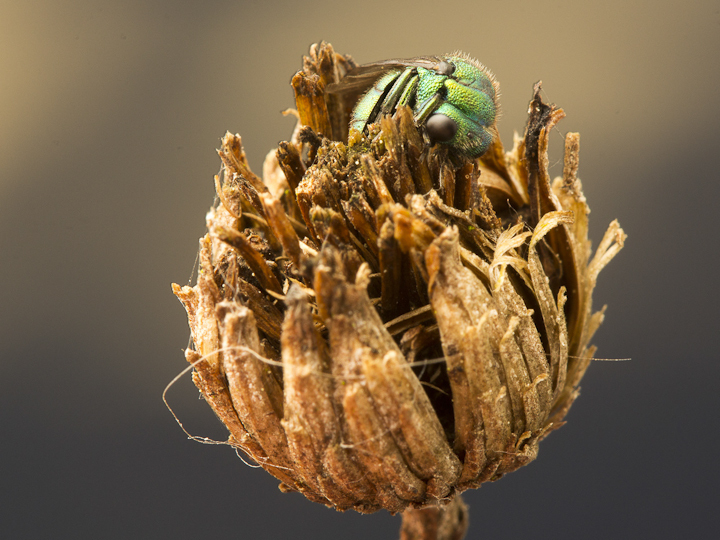 Another chrysidid on some dead grass. This little cuckoo is waking up. It stirred around for a few moments, then went dormant again. 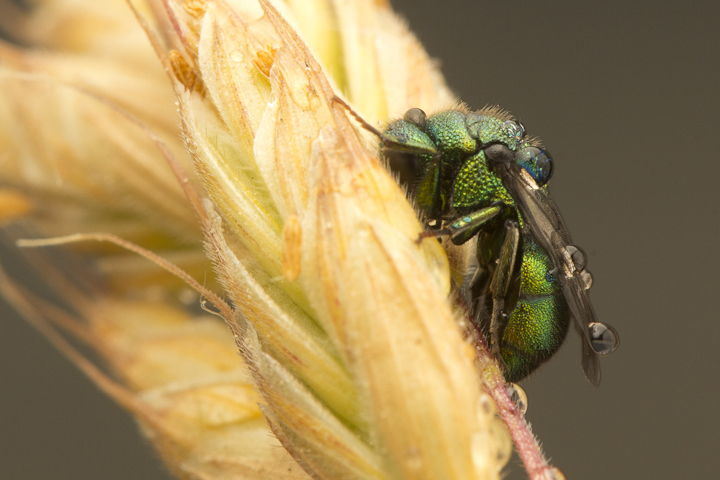 Chrysidid after a brief rain shower. 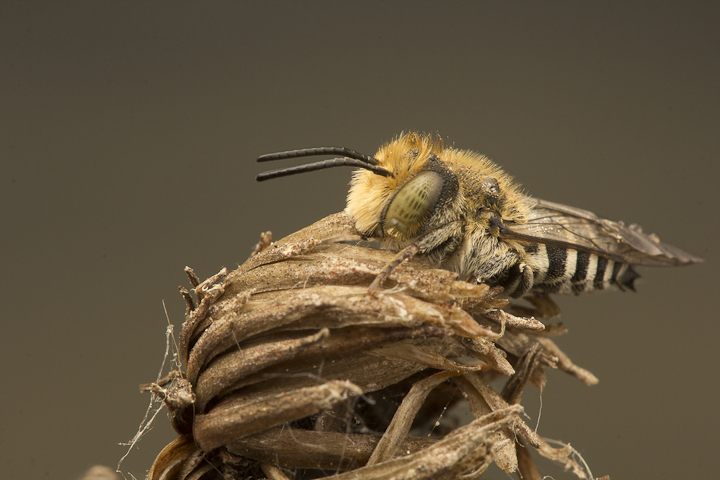 Head-on view of Coelioxys. Note the clamped mandibles. 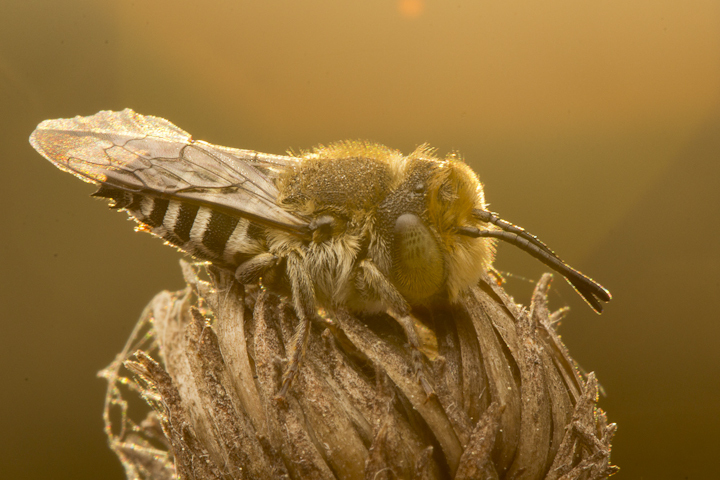 Coelioxys with a bit of lens flare from the sun. 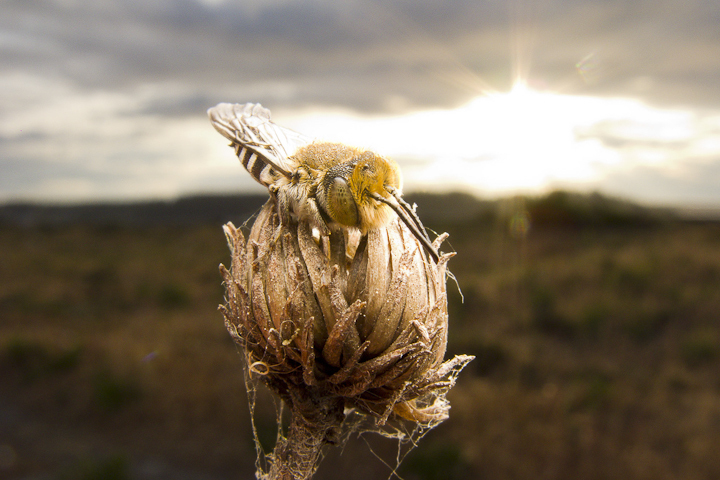 Coelioxys after the rain shower.